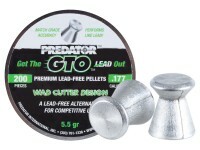 Need to go lead-free on your range? 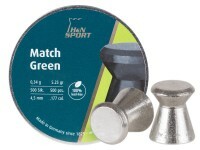 H&N is the leader when it comes to accurate lead-free pellets. 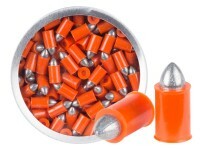 These pellets are intended for use with 10-meter air rifles and air pistols and punching clean, easy-to-score holes in target paper. What others should know: Using these between a crossman fire and crossman 1377, they are pretty damn accurate compared to the skenco blue pellets, and do more upfront damage. We have a "human" target in the back for shooting. 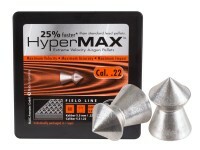 Most pellets have alot better penetration, but these are better than a lead hollowtip as far as expansion from what i see. 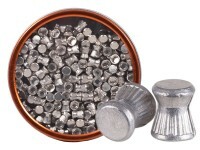 At a nickel a pellet, with all these lead free alloys, you/someone could just melt a bunch of pennies and cast pellets alot cheaper. 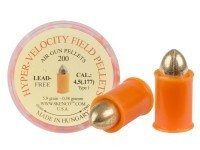 1 penny could make 2-3 pellets maybe 4, and they would still weight close to a lead pellet. 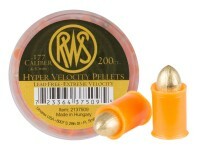 I recommend these pellets. Even shot up an empty gatorade bottle from 60ft, one clip tore half of the bottle clean appart. Things I liked: Your service and delivery was on time and fast. Things I would have changed: Keep doing what you are doing. What others should know: You have reliable service and will do business again. 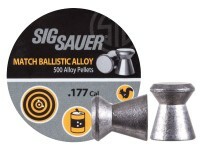 Things I liked: Used as replacement for Sig Sauer Match Ballistic Alloy .177 pellets. See no difference for training. Overall identical. 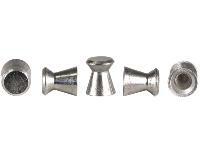 Has anyone used these in a Crosman 1077? I'm shooting indoors on paper and plinking targets. I'd like to avoid dust. 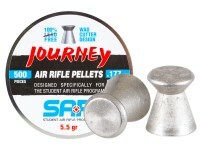 Will these pellets shatter when shot into a standard metal pellet trap or will they deform but remain intact? 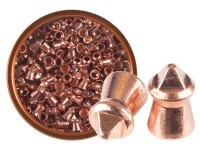 What is the pellet material made of? Is it pure or an alloy? mostly tin. USA Shooting team tested these and found them accurate.